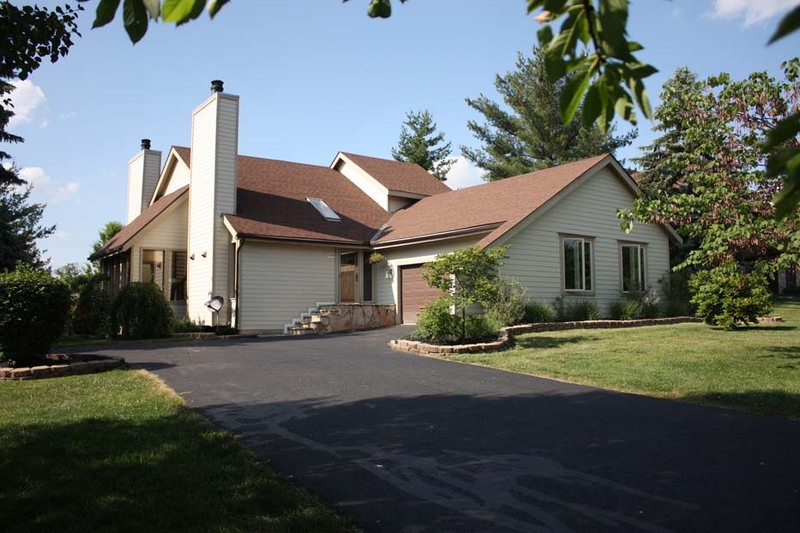 SOFT CONTEMPORARY HOME…nestled onto 1/3+ acre mature treed lot & backing to the 18th green of Little Turtle Golf Course. Ceramic Foyer. Sunken Den & Great Room with fireplace and wet bar. Updated hardwood floors, hardiplank siding, stainless steel appliances, carpet, paint, roof & more! Master Suite with walk-in closet, sauna, private verandah, loft & whirlpool bath. Finished basement with Recreation/Theatre Room. 3 BR's & 2 Baths! Nearly 2,900 SF! Westerville Schools! Only $279,900! Call DeLena today!